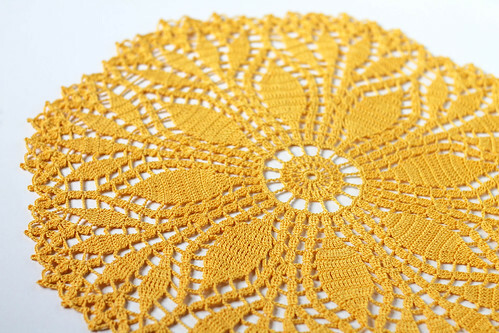 This one is made from the vintage pattern Fern Leaf Doily. 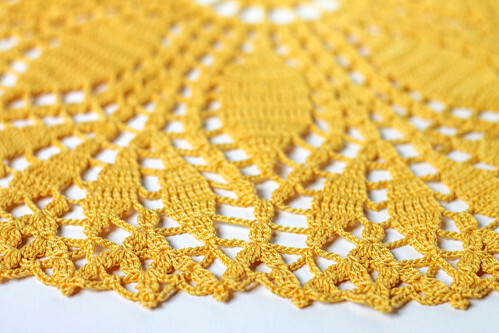 I used Aunt Lydia's size 10 crochet thread in Golden Yellow (thank you Sarah!! ), and a 1.65mm steel crochet hook. I thought the pattern was very easy and enjoyable. Made mostly in treble crochet, it feels like it works up relatively quickly! If you want to give it a go, you can find the free pattern HERE! 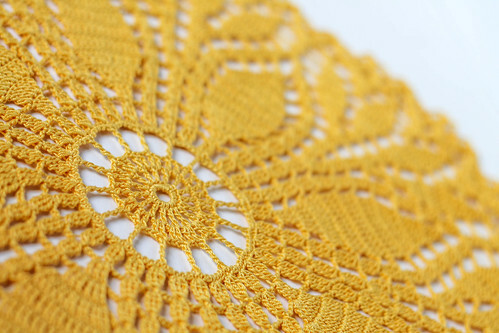 Gorgeous work, Kate and I love that rich yellow, almost like saffron. Well done! Have a wonderful weekend - it's raining here, just for a day or two!! Hola, KATE!!! Me encanta el color y el diseño. Gracias por el patrón. Ya se acerca el verano con ese amarillo radiante. Gracias! I can't wait for summer!!! OMGosh I love this one Kate! Thank you for sharing the pattern...I'll probably finish it in a year or two. Lol. 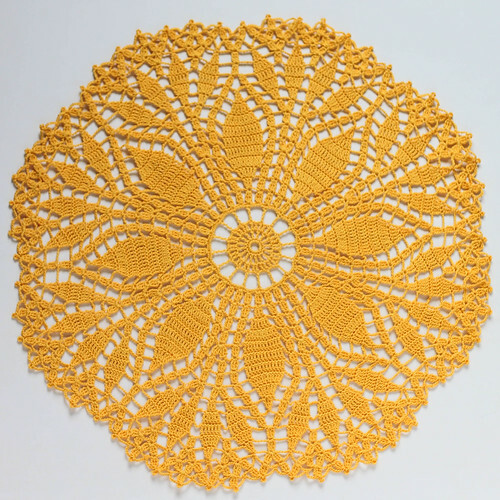 Just curious...what do you do with the doilies you make? Great work this so beautiful. thanks for sharing.